We love to cruise. 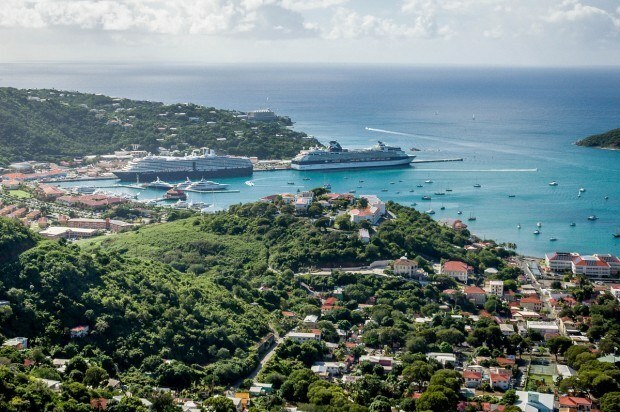 While some people say that cruising isn’t really traveling, we think there is a time and a place for it. Every year, we take a multi-generational trip during the holidays and cruising is perfect for this purpose. 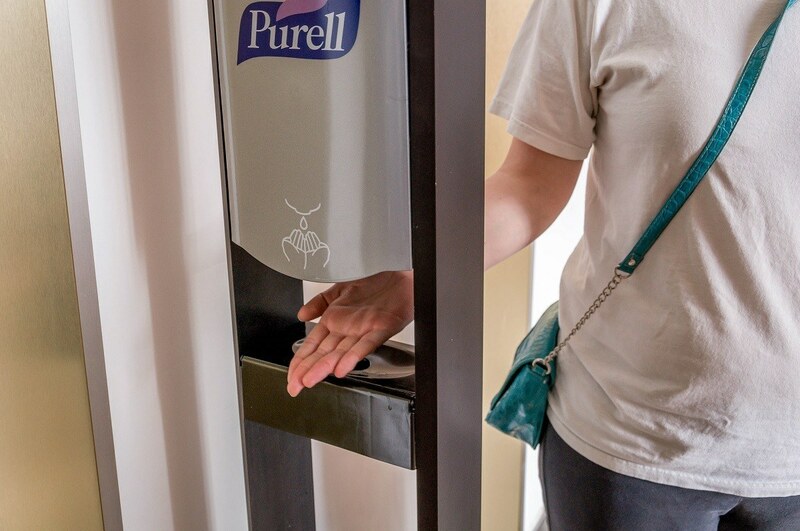 Everyone gets to do exactly what they want. For the first time, we chose the Celebrity Cruise Summit ship. This was a new experience for us and there aren’t a lot a lot of detailed Celebrity Summit reviews, so this may help other cruisers. 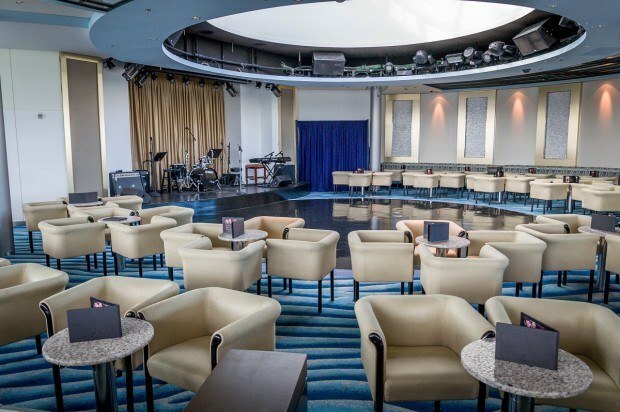 Check current prices and deals for Celebrity Cruises here. 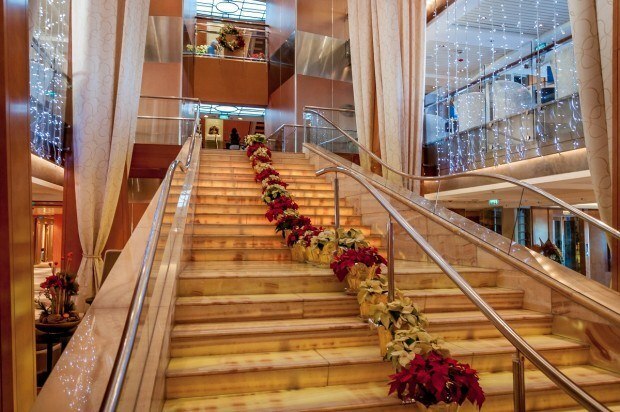 The Celebrity Summit was built in 2001 at a cost of over $350 million. While it is an older ship, it has been well maintained. 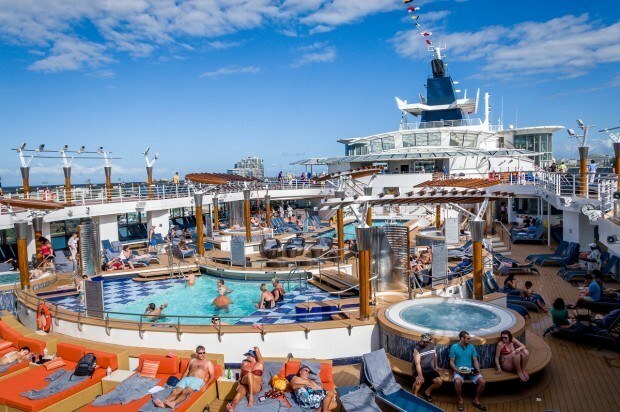 The Summit went through a renovation a few years ago to make it more similar to the company’s Solstice Class ships – larger public spaces, more dining options and a few special perks for those in the Celebrity Aqua Class. 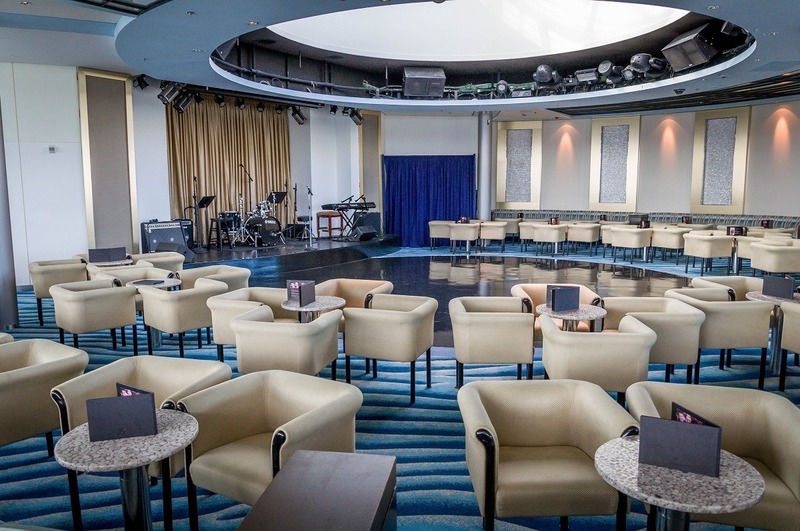 Anyone who has cruised before on any cruise line will recognize the general layout of the ship and the Celebrity Summit deck plans. The lowest level is the gangway and infirmary. There are a total of 11 decks accessible to guests (labeled Decks 2-12). 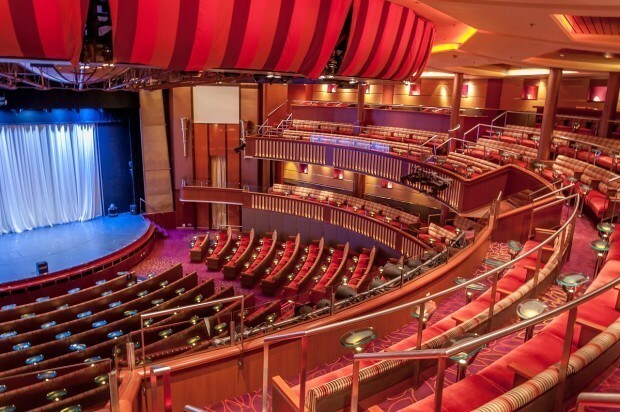 The Celebrity Theater is in the bow of the ship from Decks 3-5. 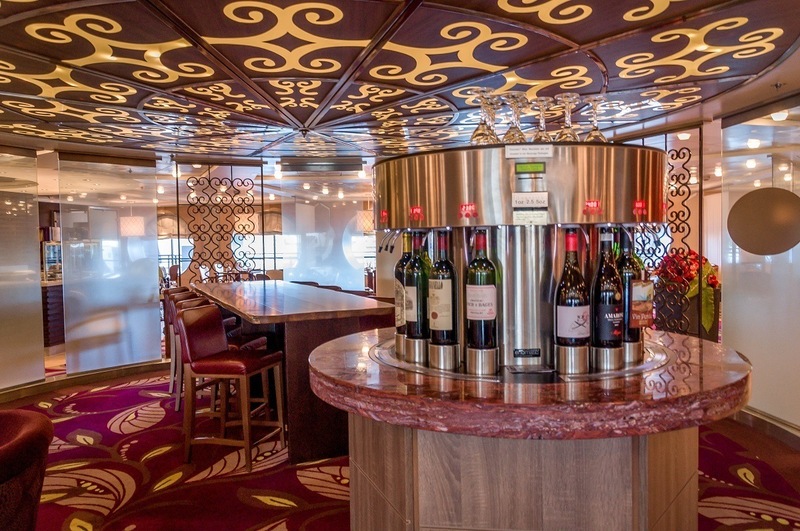 The shops, casino, front office, shore excursion office and lounges are available on Decks 4-5. 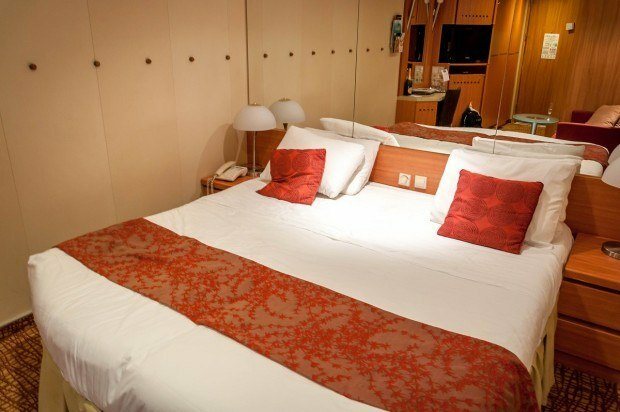 Guest staterooms are located on Decks 2-3, as well as from Decks 6-9. Deck 10 is the pool and the buffet. Deck 11 is the walking track. Deck 12 is the sports deck. Regardless of company, most cruise ships are laid out in a nearly identical fashion. 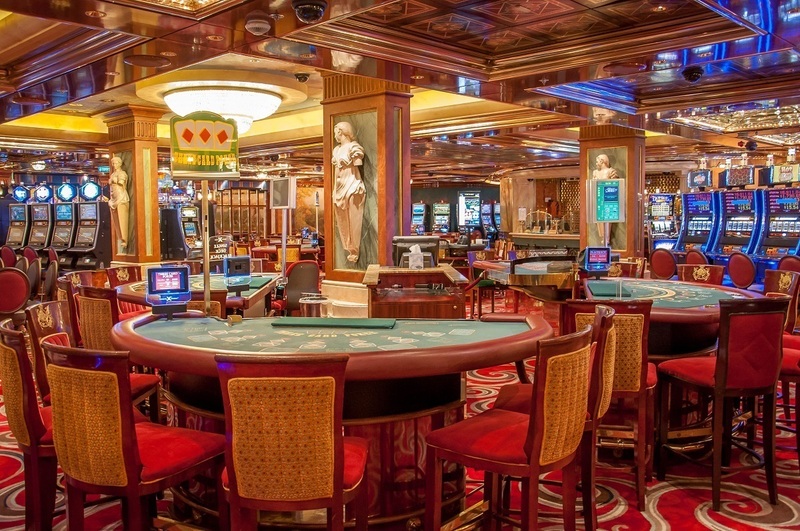 While they may differ in the location of a specific bar or casino, it’s pretty standard. We spent the bulk of our time on Decks 10-11, by the pool or up on the deck above looking out at the ocean. When visiting some beautiful ports of call, this has the advantage of taking some excellent sail away photos. 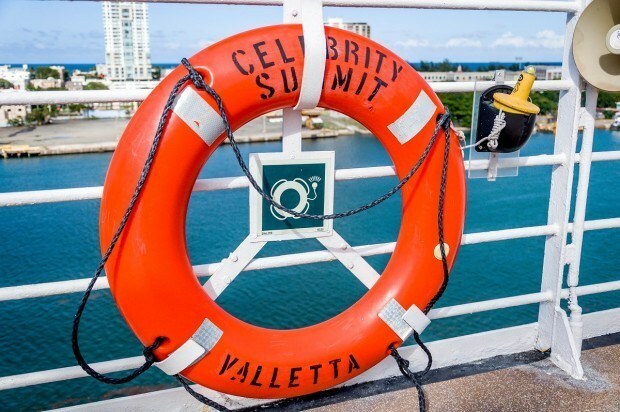 The Celebrity Summit check-in process in San Juan, Puerto Rico was relatively painless. The transfer of baggage from taxi to longshoreman took only about 3 minutes. Once inside the terminal, the lines moved very quickly. We were fully checked in and headed towards to the ship in about 20 minutes. In some Celebrity Summit reviews we read, others noted a long, disorganized check-in process so we were expecting the worst. However, we found it to be efficient and consistent with other cruise lines. Disembarkation in San Juan was also relatively painless. Like all cruise ships, you leave the tagged luggage outside your door by midnight. The luggage meets you on shore. We were some of the last to leave the ship, heading up to the Oceanview Café for breakfast before taking our time getting off the boat. Once in the terminal, we did experience long lines to clear immigration (sadly, no Global Entry kiosks in San Juan). We were in room 2088 – an interior stateroom on deck 2. On cruises, we spend so little time in our room the interior/exterior and room size make little difference for us. We’ve never paid for a big suite or balcony, and that’s fine by us. Our Celebrity Summit stateroom was pretty standard and had two twin beds pushed together to make a king-sized bed (just like every other cruise we’ve been on). The stateroom had a small sofa (more like an over-sized chair), a coffee table and a little vanity station. There was a flat panel TV (but no DVD player like other cruise lines) and a mini bar. The closets had one large compartment for hanging clothes and a smaller section with shelving (one shelf held a safe for valuables) to serve as a dresser. The bathroom was pretty compact and had a shower, sink and toilet. 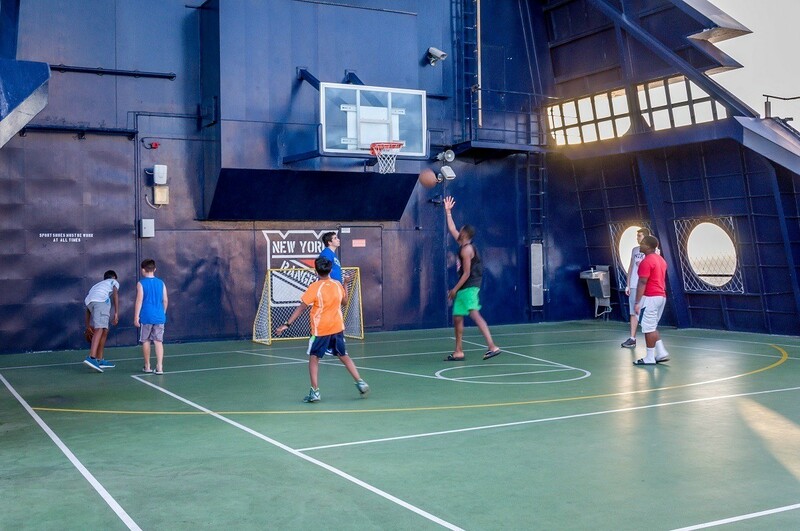 In each port, we opted to plan our own activities rather than book into one of the official Celebrity Cruises excursions. We’ve found this is a good way to get away from the crowds and have the kind of travel experience we really want. If you are new to cruising, we recommend reading our article: Cruise Tips for a Better Voyage, where we share all of our tips and tricks. 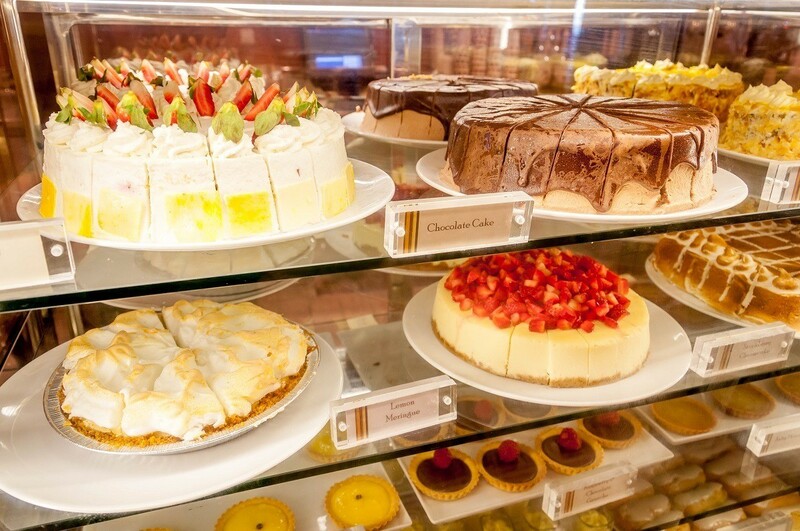 One of the things that many cruisers look forward to is the food onboard. There are 9 different Celebrity Summit restaurants and cafes for your dining pleasure. Every morning, we had breakfast in the Oceanview Café (Deck 10) in the middle of the ship. This is the long buffet with hot food, omelet stations in the morning and some cooked-to-order items for dinner. One evening, we had dinner here for the Asian stir fry (which was delicious!). Most days, we had a late lunch at the Pool Grill (Deck 10), grabbing a quick hamburger and fries before soaking up some sun. For dinner, we dinned almost every night in the Cosmopolitan Restaurant (Deck 5). We opted for Celebrity Select Dining – a more flexible option giving us the ability to make reservations for the times that interested us. We made reservations most nights, and on the one time we didn’t, we only had to wait about 20 minutes. The food in the Cosmopolitan Restaurant was quite good. To feed several thousand people, everything needs to be mass produced, but it is done in a way where quality standards were very good. We enjoyed it. One night, we want to the playfully modern Qsine. 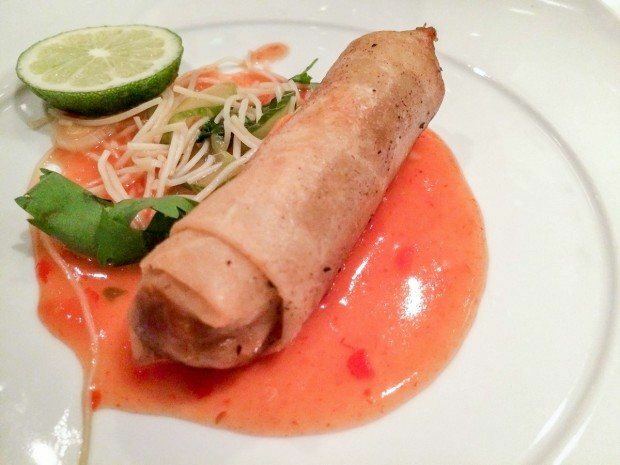 The menu (presented on iPads) is full of deconstructed menu items or whimsical recreations of favorites – spring rolls served in large springs, sushi lollipops, or a taco mortar pestle guacamole. The food was exceptional and the service matched! We were not in the Celebrity AquaClass, but we heard good things about the private dining room Blu. 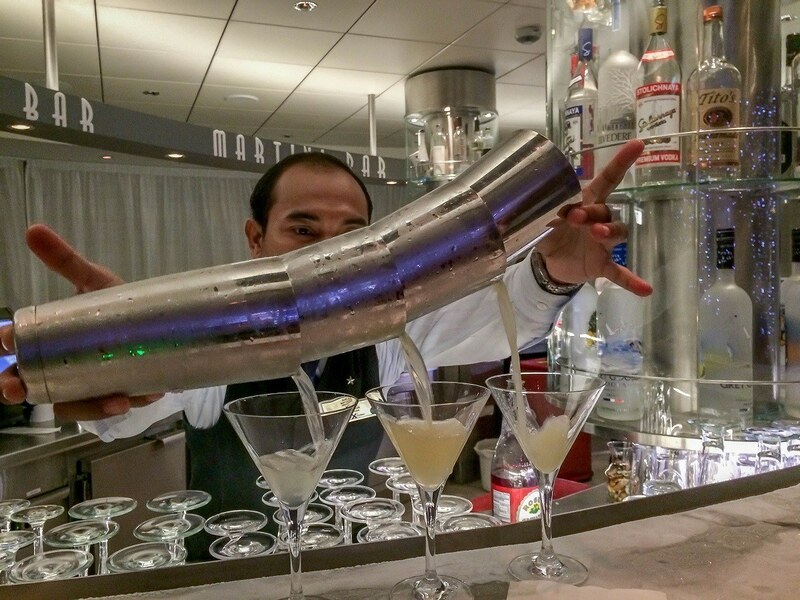 On our next Celebrity cruise, we might try AquaClass. Every night, the Celebrity Summit had entertainment programs. There were two Broadway-esque singing shows: the classics with Stars in Their Eyes and iHollywood, which had tunes from the silver screen. Additionally there was an iMagic show with the greatest illusions in history and Joel Mason’s Elton John tribute show. Unfortunately, we didn’t go to a single one of the evening programs. For us, it seemed liked there was usually only one show, which seemed to conflict with dinner. For the nights when they had two shows, the first was extremely early and the other was in the middle of dinner. There was not a late show option. This may have been because the cruise was over the holidays. We would definitely cruise on Celebrity again, but would look to a newer ship and a different itinerary. There are also some experiences we weren’t able to take part in. For certain booking types, Celebrity has a unique approach called 123Go where they bundle gratuities, beverages and other perks together. It’s almost like turning cruising into an all-inclusive experience. It’s only available on higher-end rooms, but looks pretty amazing. We’d like to give that a shot. Also, due to the lack of sea days on this itinerary, we were unable to make use of the Celebrity Cruises Canyon Ranch SpaClub on board. That will also be for our next cruise with Celebrity. Our overall Celebrity Summit review is very good. While the Celebrity Summit was an older ship, it was well maintained. 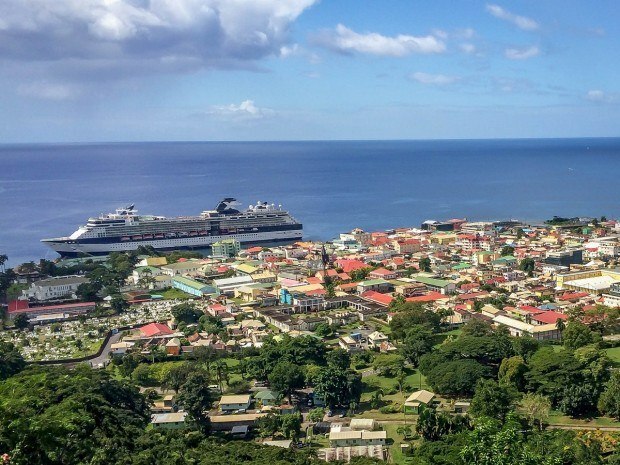 For us, the selling point was a 7-day cruise with 6 days in port and visiting some amazing destinations! Note: Some links may be affiliate links, which means Travel Addicts may earn a few pennies if you buy something at no additional cost to you. 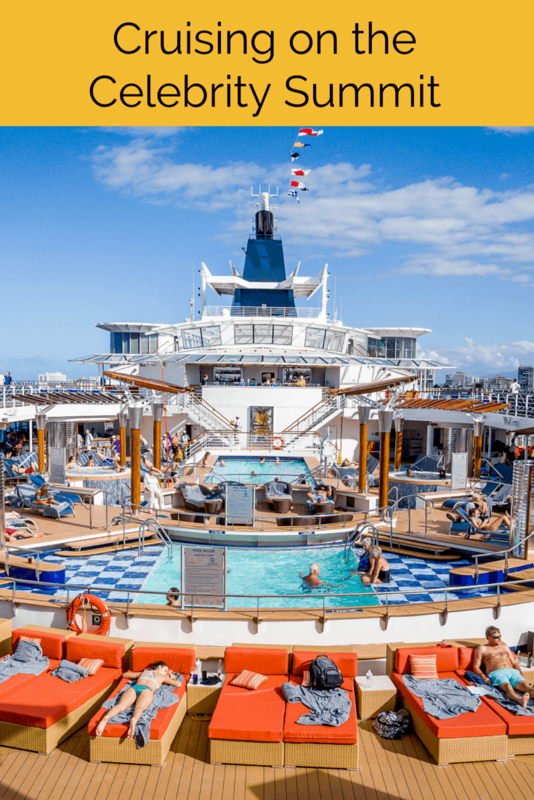 What do you think about Cruising Paradise: A Celebrity Summit Review? Aqua class looks great! To be honest, I don’t know what the current price differential is on the rooms. If it were us, the price factor would make the decision for us. Have a great trip! When you get back, drop by and leave another comment. Let us know how you liked it. We have done Aqua Class and found it to be overrated for what it offers. Access to the Persian Gardens room and dinner in Blu are the main things. Tea and fresh fruit in the cabin are minor perks. All spa services are extra. If they would throw in a couple of spa services like a massage and facial, it would be worth the extra cost. We find spending the extra $35/pp for dining in the specialty restaurants is more than worth it. Dinner in the main restaurant during our last cruise on Celebrity a few months ago was a big disappointment. Too many wild game and exotic meats, very small portions, cold bread, just to name a few. You should be able to get a good quality steak and something other than a boring grilled chicken breast any night at the main restaurant. Celebrity is our favorite cruise line, but they need to improve the main dining room quality and selection. 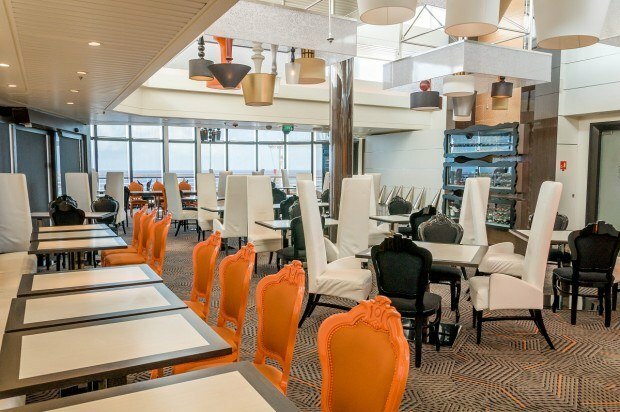 I’m thinking this change encourages cruisers to spend the extra $$ for specialty dining, which may be the goal of the cruise line. 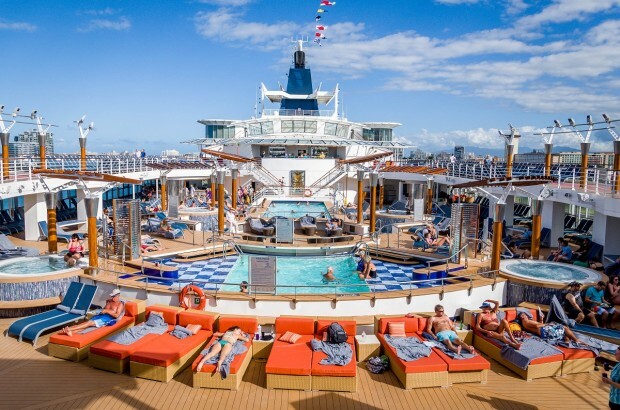 This is great fo me and my husband we have cruised before many times, but first time on Celebity summit, we are leaving from Port Liverty , october 20, 2019 arriving at San Juan P.R thank you lots of help. I do not have a cruise booked yet this year. But have been on Celebrity many times…Have also sailed NCL.. Carnival…Cunard…Royal Carribean…Princess and some lines that no longer sail…the old Home Lines and Sitmar…Been on 49 cruises ….and still think Celebrity is the BEST….hope to jump on one before the year is over!!! !